Rosenblum Eye Centers offer the most complete, up-to-date medical facilities in New York for examining and treating diseases of the eye. They are equipped with the latest technology for the evaluation, diagnosis and treatment of eye disorders, including on-site laser treatment. Each one of our three facilities is conveniently accessible by public transportation and each is equipped for the handicapped. In addition to treating all eye diseases, our physicians are experts in performing laser & surgical procedures for optimal vision correction. LASIK and PRK treat nearsightedness, farsightedness and astigmatism. LASIK, the laser vision correction procedure is performed at our Laser Vision Correction Center, using advanced "tracking" and wavefront technology. FDA studies show that 98% of patients improve to 20/20 vision or better, allowing the freedom to see the world without the aid of contact lenses or glasses. In addition to treating all eye diseases, our physicians are experts in performing laser & surgical procedures for optimal vision correction. We also specialize in the new, revolutionary multi-focal lens implants for cataract surgery, that provide full range of vision - near, distance and intermediate, resulting in greater independence from glasses or contact lenses. We perform no-stitch small incision cataract surgery in our own ambulatory surgical center in Manhattan. Our services also include cosmetic eyelid surgery as well as Botox facial enhancements. These procedures are performed with the most advanced state-of-the-art instrumentation that help patients look and feel years younger. Our on-site optical dispensaries stock high style, reasonably priced eyewear. Prescriptions are filled in a timely manner since our finishing lab is on premises. Solving difficult contact lens problems is one of our specialties. 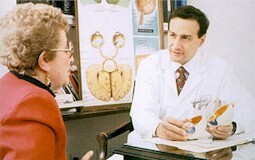 Our physicians accept most insurance plans for office visits and surgery. These include Medicare and most managed care plans. Our experienced staff will be happy to review your heath plan coverage. We make every effort to schedule appointments at a time most convenient for you. Evening and Sunday hours are available. In the event of an emergency, one of our physicians is always on call and can be reached through our 24 hour answering service at (212) 683-7330.